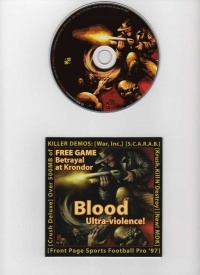 After the source code to many other games had been released by their respective owners, an intense fan campaign called for the release of the source code to Blood. This failed, but due to the cult-like fan support and lack of support from the right holders of Blood, it has been the subject of many fan games, media, and recreations. 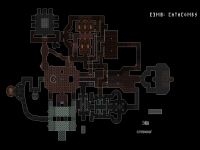 The fan project Transfusion attempted to recreate Blood on the DarkPlaces engine, while BloodCM does similar atop of EDuke32 and is at present the most complete; the former is multiplayer only, the latter single-player only. Other games like ZBlood and The Flesh Game expand on the game's storyline and scope, while HYPERTENSION is attempting to create something of a spiritual successor. 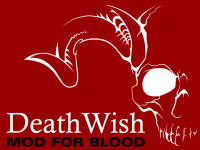 A large collection of Blood fan art and fan fiction has also been produced by the community. Several attempts have been made at creating a source port via reverse engineering, the furthest developed and publicly released being BloodGDX. 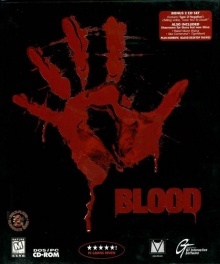 A common joke used to be that Blood add-on projects were cursed to be incomplete, most notably with BloodLines (2002) which released unfinished though still fairly elaborate, with a revival currently in the works after sixteen years. Some early projects that did reach completion were the less ambitious Banzai's Add-On (1998) Time Episode (1999) and Killing Time (1999), as well as the classic three level add-on releases Eye of the Blood (1997), Journey to Hell (1998), Gods (1998), and Ravenloft (1998). Since 2017, these fan campaigns can now be played outside the original DOS executable via BloodGDX, leading to an increased interest shown through Let's Play and video walkthrough series on YouTube. They are also set to retain compatibility with the official remaster of the game currently under work at Night Dive Studios, which is also promising to offer new modding potential due to its underlying Kex Engine, such as a functional scripting system. The Build engine code has been released, as has the code to the similar games Duke Nukem 3D and Shadow Warrior. Based on this, a few source port projects have been attempted, which vary from recreation projects by reading the original game's assets rather than merely adapting or recreating them; something much less ambiguous legally. The most developed source port that has had a public release is BloodGDX, partly created via referencing the leaked full Blood Alpha source code. Both BloodCM and BloodGDX were developed by Alexander "M210" Makarov, transitioning from one to the other. 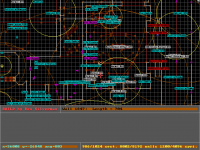 A major inhibitor for such projects is that Blood does not store its game logic externally by having any sort of scripting ability, the way Duke Nukem 3D does with CON files, making its functions fairly opaque and thus harder to reverse engineer. True modding of Blood game logic was thought impossible until recently with QAV file editing such as with the Weapons Mod. The game does not even support the ability to use external content (as Duke had with GRP files, and Doom had with WADs) besides maps or episode INI files, so all modifications that use new multimedia are done via overwriting, at least temporarily, existing base assets. According to Nick Newhard, this lack of flexibility was even a concern during the game's development. 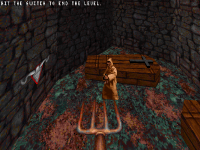 On December 7, 2018 it was announced that Atari had granted Night Dive Studios a license to release a remastered version of the original Blood. 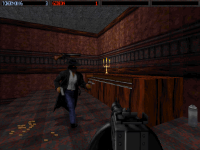 GamingOnLinux reviewer Hamish Paul Wilson decided in a 2015 retrospective that Blood was easily the best of the three major Build engine games, stating that Blood was "one of the most underrated shooters of the whole decade. 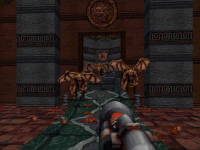 Blood arguably built more on the legacy of Duke Nukem 3D than Shadow Warrior did, taking its gameplay to sophisticated new heights and offering its referential overtones with an even greater degree of refinement." 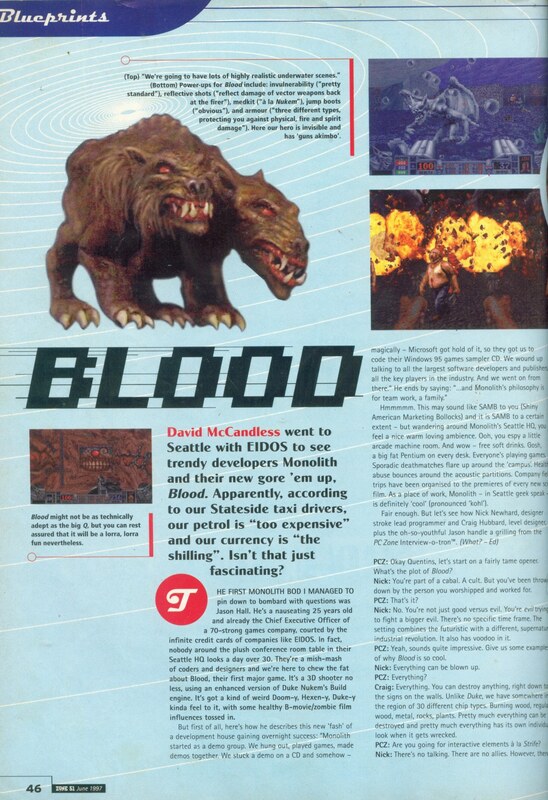 In a 2017 video review of ZBlood prominent YouTuber Gggmanlives agreed, commenting that out of the major Build engine games Blood always "edged itself out as [his] favourite of the three". 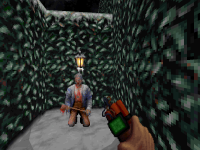 Player Attack described Blood in a 2011 article as "the best of the Build engine games after Duke Nukem 3D, with its combination of scary atmosphere, great level design and challenging gameplay putting it above the rest."